Welcome to the Spring edition of Aberlour News! 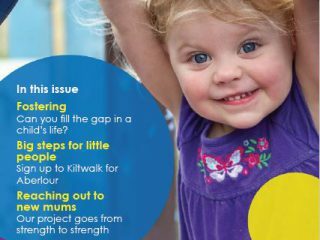 This edition is jam-packed with stories of how your support is enabling Aberlour to intervene early for more children, providing the help children need before more damage is done. Thank you! Welcome to our special Year of Young People edition of our newsletter. Find out what the amazing young people we work with have been up to during this special year! Welcome to the summer edition of Aberlour News. This newsletter is packed full of stories and updates. We’d love to know what you think of it, so please take two minutes to fill in this survey. Thanks, in advance! Welcome to the autumn edition of the Aberlour News, full of the latest stories and updates from our services across Scotland. 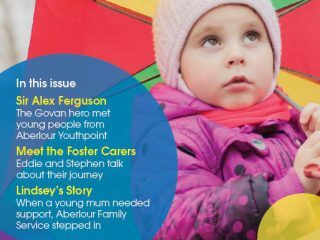 Welcome to the summer edition of the Aberlour News, full of the latest stories and updates from our services across Scotland.